Bhutan has a wide variety of activities like Buddhist Monastery Visit, Museum Visit, Local Market Visit, Tea and Coffee Tasting Tours, Food Tasting Tours, Hiking, Park Visits, Rafting, Trekking, Mountain Biking, Camping, Kayaking, Cycling, Rock Climbing, Fishing, Archery, Wildlife Safari Tours, Jungle Safari Tours and many more. 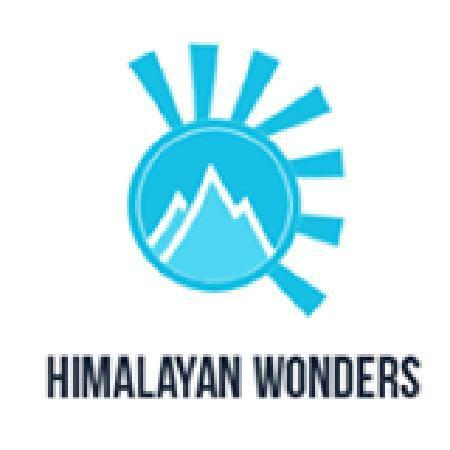 Following are the best Travel and Tour Providers For Single day and Multi day Package Trips in Bhutan. Day 01: Prior to landing in Kathmandu airport, you could have some excellent views of snow capped mountains, after custom clearance, meet with our tour coordinator at the airport with traditional garland welcome. Transfer to Hotel. Overnight stay at hotel in Kathmandu. Day 02: After breakfast drive to Bhaktapur, the city examples of wood-carving. Visit Durbar Square through the Royal Gate, the sparseness of the temple is immediately apparent, compared to the profusion in the Durbar Squares of Kathmandu and Patan. Many of the highly decorated buildings and shrines were destroyed in the 1934 earthquake. However the main square still contains innumerable temples and other architectural show pieces: the Lion Gate, the Art gallery, the statue of Bhupatendra Malla, the Palace of 55 windows, the Bell of the barking dogs, the Batsala temple, the Nyatapola temple and the replica of Pashupatinath. Continue to Patan, the city of art and beauty. Visit Patan city Visit Patan city with its intricately carved temples, narrow lanes and quaint shops. Then drive back to Kathmandu and check into hotel. Day 03: Fly KTM/PBH. Arrive Paro. Drive Paro-Thimpu (65Km, 2 hrs). Morning free. Late morning, check out of the hotel. Transfer to a local restaurant for early lunch. After lunch, transfer to Kathmandu airport to fly to Paro.Traditional Khada welcome. Drive to Thimpu, the capital of Bhutan. Once a rustic village sitting in a broad, fertile river valley, Thimpu is today the nation's bustling capital city. Dinner and overnight at Hotel in Thimpu. Day 04: Explore Thimpu and transfer to Punakha. Full day tour in Thimpu visiting Taschichoedzong, "the fortress of the glorious religion": Taschichoedzong houses some ministries, His Majesty's secretariat, and central monk body; Mini Zoo, to observe Takin (national animal of Bhutan). Institute of Zorig Chusum where students undertake a course on the 13 traditional arts and crafts of Bhutan; National Library, which holds an extensive collection of Buddhist texts and manuscripts, some dating back to several hundred years back, as well as modern academic books, mainly on Himalayan culture and religion; The Post office; The Institute of Tibetology; National Memorial Chorten; Handicrafts emporium Lunch at a local restaurant “Bhutan Kitchen” which serves typical Bhutanese cuisine. Dinner in Punaka at Hotel. Day 05: Sightseeing in Punaka and transfer to Paro (142 Kms/5.5 hrs). Morning visit Punakha Dzong, built in 1637 by Shabdrung Ngawang Namgyel, has played prominent role in civil and religious life of the kingdom. Damaged by the fire, flood and earthquake over the centuries, it has now been fully restored in its original splendor.Lunch at hotel Afternoon drive back to Paro. the capital of Bhutan. Dinner and overnight at Hotel. Day 06: Paro: In the morning, take an excursion (2 hrs hike uphill) to Taktsang Monastery also known as Tiger's Nest. It is believed that Guru Rinpoche, founding father of Bhutanese form of Mahayana Buddhism, arrived here on a back of a tigress and meditated at this monastery. Taktsang Monastery was damaged severely by fire in 1998 and the present restoration work is almost completed. On return, visit the ruins of Drukgyel Dzong. It was from here that Bhutanese repelled several Tibetan-invading armies during 17th century. Thereafter, visit Kichu Lakhang. Free or possibility of visiting the local farm houses (if not hiking to Taktsang monastery) Lunch, Dinner and overnight at Hotel . Day 07: Transfer PBH/KTM, Paro airport to connect the flight to Kathmandu . Check into hotel.Afternoon visit of old Kathmandu city with its stone-paved lanes, colorful bazaars, the House of the living Goddess-Kumarai who is considered to be the incarnation of the "Virgin Goddess". The old Durbar Square consists of innumerable temples of different architecture. Continue to Swoyambhunath stupa, situated west of Kathmandu. It is a 2500 years old Buddhist stupa located at a top of green hillock with the eyes of Buddha painted on its pinnacle overlooking righteous behaviour of the valley inhabitants. Overnight stay at hotel in Kathmandu. Day 08: After breakfast drive to the temple of Pashupatinath, situated on the banks of the sacred Bagmati River, temple of Lord Shiva. Pashupatinath, with a tiered golden roof and silver doors, is famous for its superb architecture. Then drive to Bodhnath, the largest Stupa. This Stupa, set in a pattern of Mandala is encircled by houses and monasteries where Rinpoches reside. Around the base of this is a ring of 108 images of the Buddha and 147 insets containing the prayer wheels. Then drive back to hotel. Overnight stay at Kathmandu. Day 09: Early morning fly over the Himalayan ranges from Kathmandu to Gongar Airport, meet with tour coordinator at airport, then drive to Lxa. Check into hotel. Lunch at hotel/ local Restaurant. Day 10-11: Sightseeing in Lhasa city. Visit Potala Palace (Winter Palace of Dalai Lama now more a museum than a palace), Drepung Monastery (The largest monastery in Tibet as well as in the world which once harbored 10000 monks although as a rule it was to house only 7700 monks), Sera Monastery (The 2nd biggest monastery in Tibet, famous for it horse-necked Hayagriva), Jolkhang Temple (The most sacred and oldest temple in Tibet, built particularly for the enshrinement of the Sakyamuni image), Norbulingkha Palace (Summer Palace of the Dalai Lama, where it is possible to visit Dalai Lama's private apartment) and Bhakhor Free Market (The ancient and largest market in Tibet where almost everyone has something to sell). Overnight stay at hotel in Lxa. Day 12: Early morning after breakfast drive from hotel to Gongar Airport to connect the flight to Kathmandu. Upon arrival at Kathmandu airport transfer to hotel. Day 13: Early morning drive from Kathmandu to Pokahra, the city nature beauty (200km/06 hrs) and check into hotel. Visit Fewa Lake side area. Day 14: Early morning visit at Sarangkot for beautiful sunrise views over the exotic Himalayan ranges. On the way back to hotel visit Bindabashini Temple, Goddess of long life. Experience boating on Fewa Lake, visit Dav's Falls and Tibetan refuge camp and back to hotel. Overnight stay at hotel in Pokahra. Day 15: After breakfast drive back to Kathmandu and check into hotel. Day 16: Departs from hotel to airport to connect the flight for onward destination.